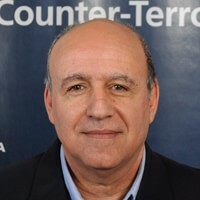 Mr. Sasson is the former Director of Security of El Al Airlines, served as well as the Former director of operations department in the Israeli Dignitary and Official Delegations Protection Unit. He also served as a Regional Security Director for Western Europe. Mr. Sasson brings to all of his missions more than 23 years of rich and varied experience in a range of security fields in Israel Security Agency (Shin Bet), who in recent years has been operating in the fields of security in Israel and internationally.